This attractive book with short exercises and captivating art presents writing, playing, rhythmic, and composing activities that lead students along the path of music discovery. Ear Training assists students in recognizing rhythm and note patterns; and Time to Compose encourages students to create their own pieces based on concepts learned. Valuable concepts presented in the Lesson and Technique Book are reinforced in the Recital Book. Short practice steps and musicality questions teach students how to listen and enjoy music. Each piece has 3 tracks on the CD: practice speed, performance speed, and performance speed with orchestral accompaniments. Free downloads of all tracks are available at www.fjhmusic.com/downloads. This set of cards presents information in a clear and organized manner, providing an easy way to drill, reinforce and introduce new concepts. Sticker book to accompany Helen Marlais' Succeeding at the Piano, Preparatory. Dynamics, note reading, and intervals are expanded in the second book of the series, in addition to introducing rests, legato and staccato, and two new touch releases: The Woodpecker and The Push Off. A clean page layout and music that kids like to play engage students so they progress smoothly. The music includes classical arrangements, folk tunes, and originals by our fabulous FJH composers. These entertaining pieces with artistic illustrations and fanciful lyrics are slightly longer and can serve as performance pieces for recitals or adjudications. Optional teacher duets are included, but these selections can stand on their own. The arrangements of classical composers are particularly interesting. Each piece has 3 tracks on the CD: practice speed, performance speed, and performance speed with orchestral accompaniments. Free downloads of all tracks are available at www.fjhmusic.com/downloads. The terrific music in this book reinforces concepts from Grade 1A while introducing several more: G Position; sharps and flats; tonic and dominant; Bass G Position; upbeat; blocked and broken chords; five-finger patterns and I/V7 chords in C and G; and one new touch release–The Kick Off! Students play many genres of music–nine classical arrangements, folk songs, and original solos by FJH composers. Colorful art, easy-to-write-on staff sizes, and short exercises make this a fun book to use. Creative activities such as Ear Training, Follow the Leader, Parrot Play, Time to Compose, Rhythm, and Writing thoroughly reinforce theoretical concepts. This book engages the student and completes a well-rounded curriculum. 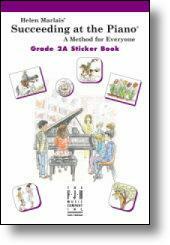 The Recital Book offers outstanding repertoire for recitals and fun! The pieces feature a variety of styles in varying keys, reinforcement of reading and skills presented in the Lesson and Technique Book. Some of the popular titles are: The Lazy Pup; Jazz Steps; Camel Driver’s Song; and Pirate Song. Practice steps and musicality questions help students learn to listen and enjoy music. This book is an ideal supplement to any method. Free downloads of all tracks are available at www.fjhmusic.com/downloads. 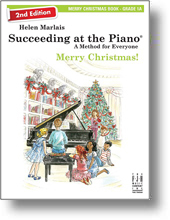 Sticker book to accompany Helen Marlais' Succeeding at the Piano, Grade 1. With CD and Free Downloadable Recordings. Grade 2A presents new concepts such as: natural sign; eighth notes; note B below Middle C; musical form; balance between the hands; half and whole steps; damper pedal; major five-finger patterns in D and A major; minor five-finger patterns in C, G, F and D; and major and minor cross-hand arpeggios. The recordings offer three tracks for each piece: practice speed, performance speed, and performance speed with orchestral accompaniments. This book is full of creative activities that reinforce theoretical concepts. 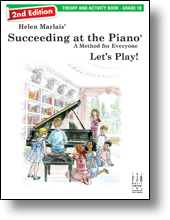 There are matching games, drawing and identifying intervals and notes, ear training, composing opportunities, and much more. Exercises are short and varied, and can easily be done at home and quickly checked at the lesson. With CD and Free Downloadable Recordings. This correlated collection offers a variety of musical styles that reinforce concepts and skills introduced in this level. Most of the 15 pieces are two pages long, and a few have optional teacher duets. There are two folk songs nestled among the outstanding original solos by FJH composers. Short practice steps teach students to listen and to notice new terms/ideas. This set contains 108 cards presented in a clear and organized manner providing an easy way to drill, reinforce, and introduce new concepts. Traditional note reading as well as intervallic reading is further reinforced. Each card is numbered so they can be kept in sequence and are correlated to the 2A Lesson and Technique Book. A wonderful way to motivate and reward students on a successful assignment! Designed from the beautiful artwork found in the four correlating Grade 2A books. With CD and Free Downloadable Recordings. 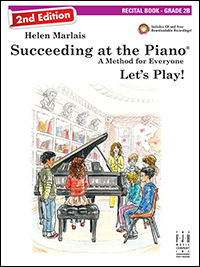 The terrific music in this book reinforces concepts from Grade 2A while introducing several more: introduction to the sonatina; interval of a 6th; Italian terms of poco, a tempo, pp, ostinato, fermata and molto; waltz bass; broken chord bass; the dotted quarter note; reading ledger lines above, below and in-between the staffs; legato pedaling; the IV chord; and eighth rest. At the end of the book parallel motion and contrary motion scales on the white keys are shown with I-IV-I-V7-I cadences and one-hand arpeggios. 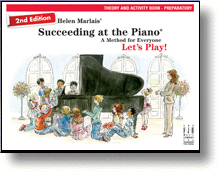 Creative activities like matching time, fill in the blank, and completing scales and cadences make this a fun book! 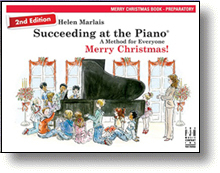 Also includes Ear Training, Follow the Leader, Parrot Play, Time to Compose, Rhythm, and Writing–icons used throughout this method that thoroughly reinforce theoretical concepts. This book engages the student and completes a well-rounded curriculum. With CD and Free Downloadable Recordings. The new concepts in this grade are reinforced with outstanding repertoire for recitals and fun! Styles include blues, folk, patriotic tunes, classical themes, and terrific original solos. Concise, targeted “Practice Steps” encourage students to focus on the specific keyboard patterns, hand shifts and expressive goals in each piece.